The Minister of Economy and Industry of the Al-Wefaq Government reclaims to cancel the Turkish visa imposed on the Libyan citizens and to facilitate the procedures of travel between the two countries to increase the chances of trade exchange between Libya and Turkey. 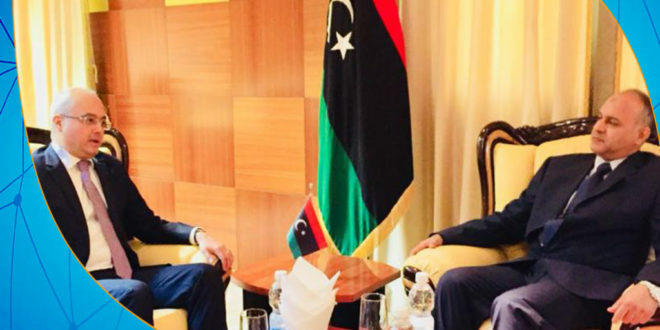 During his meeting with the Turkish Ambassador to Libya Ahmed Dougan, Al-Issawi said that the previous agreements between the two countries and the return of the Turkish companies should be activated. 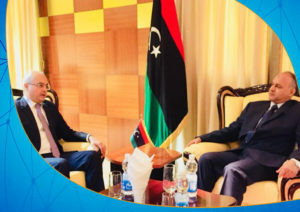 The Turkish ambassador assured Al-Issawi that his demands will be a priority of his work this period, indicating that his country is ready to stand with the Libyan state; to promote the national economy. The Minister of Economy and Industry of the National Reconciliation Government officially took the office on October 18, replacing the former minister Nasser al-Derasi. #Government #Libya #News -Sources confirm that British Foreign Minister Boris Johnson will arrive tomorrow to #Tripoli on an official visit.